Vila (Gorilla) is 57! – If Animals Could Talk . . .
One of my favorite “beings” to visit at my favorite place on earth: San Diego Safari Park. 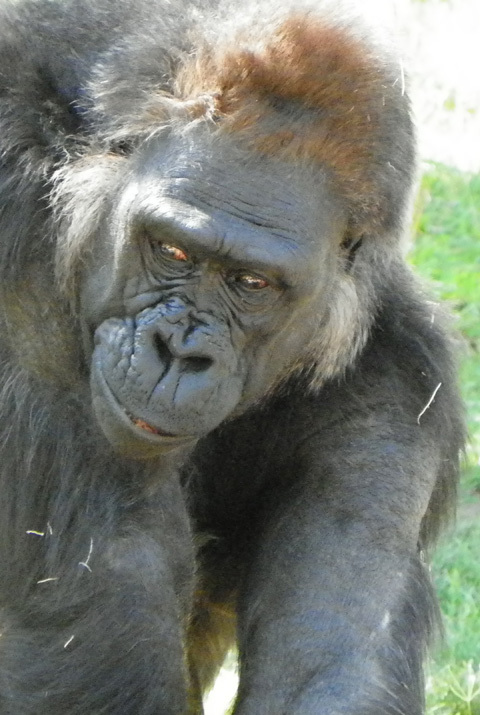 Vila is one of the oldest gorillas in the world and still going strong. Watch this fun video…and visit her. You’ll love it. This entry was posted in animal photographs, Endangered Animals, videos and tagged birthday, gorilla. Bookmark the permalink.